Nov. 20. 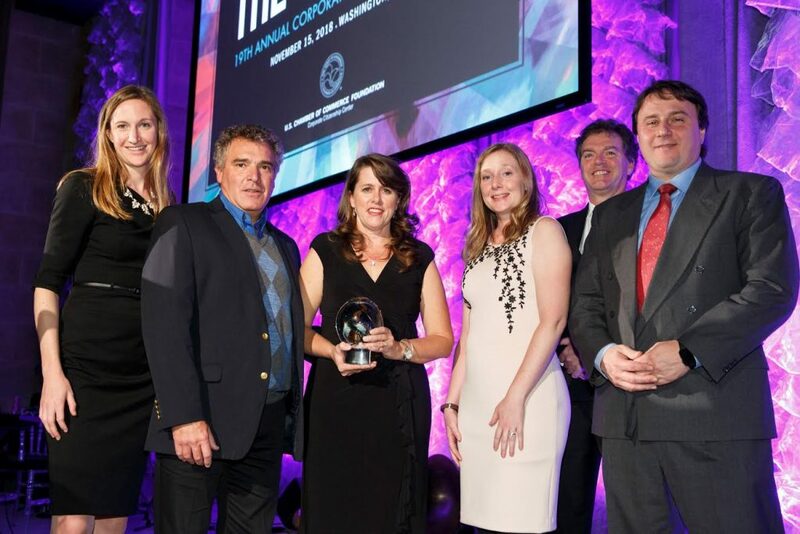 Ingersoll Rand has won the U.S. Chamber of Commerce Foundation’s Corporate Citizenship Award for Best Environmental Stewardship. The Davidson-based maker of commercial heating and air-conditioning systems was recognized for addressing greenhouse gas emissions in its own operations and products, and continued research for a sustainable future. The company achieved its commitment to reduce its own greenhouse gas footprint by 35 percent by 2020 by focusing on four areas: Energy reduction, optimization of refrigerant charging, upgrading its fleet to improve gas mileage, and renewable energy. Over the past four years, it has reduced operations-related greenhouse gas emissions by 37 percent—two years ahead of schedule. Meanwhile, the U.S. Department of Energy awarded Ingersoll Rand a 2018 “Better Practice” award for energy management initiatives that reduced energy consumption by 50 percent at its Trane plant in Waco, Texas. “Ingersoll Rand’s commitment to environmental stewardship runs deep and is core to how we operate and help our customers succeed,” said Eric Rankin, vice president of Environmental Health and Safety at Ingersoll Rand. The U.S. Chamber of Commerce Foundation Corporate Citizenship Awards honor businesses for their significant positive impacts in communities around the world. For 19 years, this awards program has illustrated how every day businesses serve as a powerful force for good around the world. Companies and chambers of commerce from around the globe compete for the citizens awards, making them one of the most coveted opportunities for recognition in corporate citizenship. The Chamber Foundation announced the winners of the 2018 Citizens Awards on Nov. 15 at a ceremony in Washington, D.C.